Let’s have a look today at “Billboard’s Hot 100” of last week. Here’re the Top 10 Songs of the week. 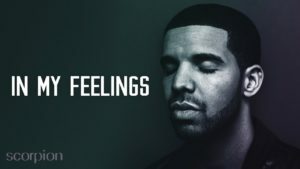 Drake’ s “In My Feelings” ranks #1. The “In My Feelings” video Is all about (you guessed it) the In My Feelings Challenge. The Karena Davis-directed video is a hilarious and meta homage to the viral #InMyFeelingsChallenge started by comedian Shiggy. Still have “In My Feelings” stuck in your head? Well, the song of the summer is not going anywhere. Drake dropped his latest video production on Thursday night for the undeniable hit of his new album Scorpion. 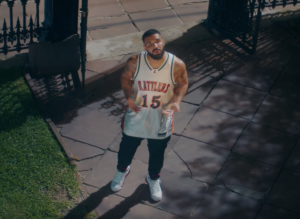 No stranger to celebrity cameos—“I’m Upset” featured the rapper’s former Degrassi castmates and “Nice for What” showcased everyone from Misty Copeland to Tiffany Haddish—Drake’s new video includes La La Anthony as the infamous Keke; th-tiffany-haddishShiggy (the creator of the eponymous challenge, which usually involves the subject hopping out of a moving vehicle to dance to Drake’s first verse, prompting a tweet from the National Transportation Safety Board); and Big Freedia. The 8-minute-long video, set in New Orleans, is worth watching until the very end thanks to cameos by Queer Eye’s Fab Five, Stranger Things’s Millie Bobby Brown and Noah Schnapp, and Will Smith. “FEFE” – 6ix9ine ft. Nicki Minaj and Murda Beatz, #4 of the week.